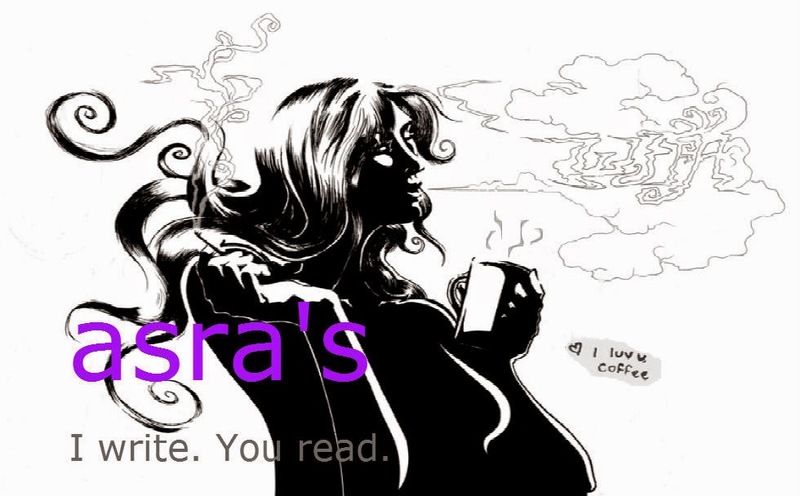 asra's: WHY WE DON'T READ?? So what are the pleasures of reading? There are innumerable (of course!). It gives us peace of mind and satisfaction. It is a great source of recreation. Happy is the man who acquires the habit of reading when he is young. He has secured a life long source of pleasure, instruction and inspiration. As long as he has his beloved books, he need never feel lonely. He always has a pleasant occupation of leisure moments, so that he need never feel bored. Good and inspiring books can lead us to a noble and successful career in life. On the other hand, bad books can adversely affect our tastes and lead us to our ruination in life. Provided we choose the right kind of books, reading gives the highest kind of pleasure. Some books are simply for pleasure and amusement. Books of fiction come into this category. Novels and books of imagination ‘must’ have a place in everybody’s reading. When we are tired or the brain is weary with serious study, it is a healthy recreation to let loose ourselves in some absorbing story written by a master hand. However, to read nothing but fiction is like eating nothing but cakes and sweets. As we need wholesome food for the body, so we must have serious reading for the mind. There are many noble books on history, biography, philosophy, religion, travel, science, politics, etc which we ought to read and which not only give us pleasure (depending on one’s taste) but also educate us. Let us come to the next part of the article: the importance of reading. Reading books develops our natural talents as we get inspiration from these. Reading is an intellectual food for the mind. Just as we need the food for our body to work properly, similarly we need food for our mind and soul. For years, there was no reading or ‘book culture’ in our country. This is very tragic since the first word given to our Holy prophet Muhammad (PBUH) was ‘IQRA’ or ‘READ’. Why is it that we do not read? There are scores of reasons for this, I believe. There are always those who fear books pollute the reader’s minds. When we allow that fear to tale over us, we close all doors that have the benefit of all the many good words and the bad. Moreover, it shows, we have lost faith and confidence in our own people to use their moral and spiritual minds. Parents have to shoulder some responsibility for this. They do not nurture the reading habit in their children. Rather than learning the lessons of whatever subject or course the child undertakes and appreciating the power of words to challenge young minds and shape them, instead parents opt to instill in them (in children) a desire for all things material, from toys as children to the latest model bikes and gadgets as adults. Schools are equally responsible. For too long, our schools have been more interested in rote memorization rather than classes that inspire critical thinking. The ability to deal with ideas and to use logic and reason, to have creative solutions to everyday problems should be taught. Otherwise, it results in ill-trained and ill-equipped young people who stand no chance of success in a competitive arena of any kind because there intelligence and imagination earn wealth not just memory and less desirable traits. It is seemingly obvious that, now-a-days people have a craving for more knowledge. They want to see- and they need to see- what’s going on around the world. By providing them with the correct knowledge and books, we can give them a chance of leading great lives in future. The Quran says ‘read’ and by doing so, we must meet other ideas, ways and cultures. Do not misunderstand God’s commands. We need to trust ourselves, and our youngsters to make the right decisions about all the world has to offer. Let me state an example here people. This is one of my personal experiences. I read ‘Inscrutable Americans’ by Anurag Mathur, when I was 12, and here I am, devoid of any such thoughts as of Gopal (the protagonist) to have his sense of ‘fun’ in life just for the heck of it! This and many other books, they just helped me gain a wider view of life and ideas about the different of the world. ‘Trust’! Yes, that’s what’s important! If what I have observed and read about the past, is anything to go by, then most of the times our so-called decision makers have made the wrong decisions and plunged our society into a future of ignorance and poverty. If you have inferred the significance of what I’ve tried to say in this article, then for all those who have- I leave you this question: “Which legacy should we leave our young people? Will it be a society of ignorance and poverty?” And for those who have not- well do not lose hope. A time will come when the candle of realization is ignited before you and its light will illuminate your mind and soul and your life will be worthy of its existence. So until then… have faith!